Zdeněk Kovář has passed away, but I will never forget his words. I must admit, I started toying with the idea of writing an autobiography more than twelve years ago. I had two fantastic seasons at Chelsea under my belt and the football world was at my feet. So I asked Blšany sporting director Zdeněk Kovář to tell me how it all started. In the end, I put the book on the back burner, because I realised I was too young to be writing a memoir. Unfortunately, Mr Kovář died in a tragic car accident in February 2013, killed by a reckless driver who was overtaking him in a risky manner on the Louny bypass. Blšany were by no means rich club. Our strategy was to sign young, talented guys who didn’t have professional contracts yet. And head coach Beránek had two other requirements: they had to be tall and left-footed. This is how we poached Václav Drobný, future captain of the Under-21 national team, from Sparta. And Petr fit the bill perfectly. Young, talented, tall, left-footed, no contract! And this was before I knew he’s also a hard worker with great integrity. He came highly recommended, I liked everything about him, but I wanted to see him play. So I went to the Under-16 European Championship quarterfinals played in Zlín. Petr was sensational against England. Not only when it comes to making saves, but in everything he did on the pitch. He directed his teammates, sent long, accurate passes, he never hesitated for one second. He managed to keep a clean sheet, it was goalless by the end of regulation time, and in extra time Pavel Besta scored. I knew I must convince this guy to come join our little provincial team. 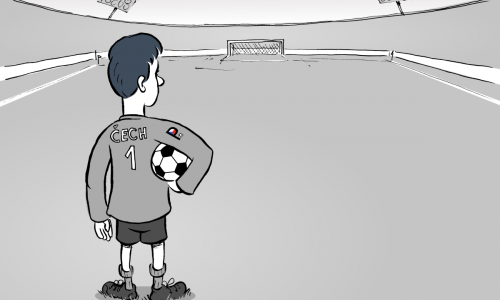 He didn’t get the gold, but Blšany got Petr Čech. It was also thanks to František Plass, a great guy and Plzeň patriot, who used to be nicknamed “the Czech Beckenbauer” while he was still playing. He arranged a meeting with Petr’s parents. Where? In Plaská, a typical cheap pub at a housing estate, which you entered via concrete stairs. Petr’s parents were a little nervous, they sat down, ordered fried liver and waited. Petr asked for fried cheese with chips and tartar sauce, and orange juice mixed with water. I’ll be damned if this isn’t exactly how it happened. Petr got a really interesting offer from Hertha Berlin, where he would first need to prove himself, but – provided he convinced them – he would get much more money. Meanwhile, I was willing to sign him immediately, no try-outs. For a gross wage of 8,000 Czech crowns, which was next to nothing, but he was still in school. “He must finish his studies, that’s non-negotiable,” his dad said, and his mom nodded. 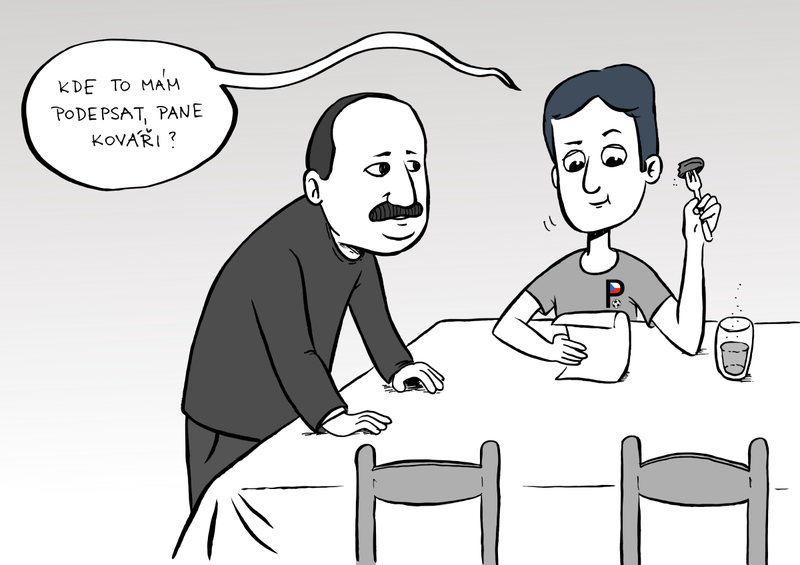 Petr remained calm and composed, he was clear about what he wanted. I could see it in his eyes: He wanted to go to Blšany. „He will finish school, I guarantee you that. The only downside is the commuting, but I have a solution for that,” I told them. I’m sorry Josef, it wasn’t kosher, I know! But if we hadn’t taken Petr to Blšany, he might have waited another five years to get his first league chance in Plzeň. Wouldn’t that be a terrible shame? And now you see how right he was." P.S. The following chapter coming up next week! MY LIFE, PART 48: Don’t tell anybody!